All who knew Shirley Despres would agree she was kind, and generous, with a contagious zest for life that drew others near to her. 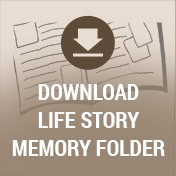 It is no secret that Shirley was married to her best friend, and together they witnessed their family tree blossom to include the children, grandchildren, and great-grandchildren she treasured. The 1930s were some of the darkest days we have seen as a nation as the entire decade was covered by the blanket of the Great Depression. Jobs were hard to come by and few American families didn’t feel the strain of the time. Cities, communities and families came together to weather the storm however they could. Despite the trials around them, Frank and Dena (Hoekstra) Cook were able to shift their focus to raising their family in Grand Rapids, Michigan. Their family were "Northenders" who lived off Plainfield Street known as “The Avenue”. First living on Quimby NE and later moving to a home on Florence Street NE. Shirley was an only child until her brother, Tom, was born when she was 13 years old. 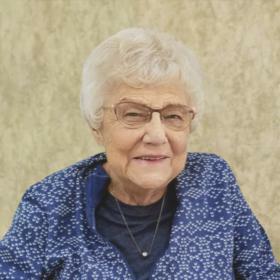 Shirley attended a small Christian school on Leonard Street and then graduated from Creston High in 1951. During Shirley’s younger years was her introduction to the man who would forever hold the key to her heart. His name was Art Despres and he lived next door to their new home on Florence Street. They became best friends, and in time their friendship blossomed into true love, and they became high school sweethearts. The couple was soon separated for a time when Art was drafted into the United States Army. 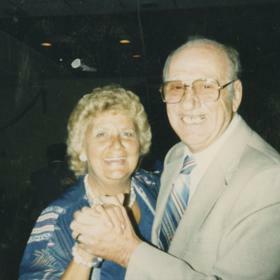 Their love remained strong, and with a desire to spend the rest of their lives together Shirley and Art were married on December 11, 1951 at St. Alphonsus Church, while Art was home on leave. Their ceremony was followed by a reception at Fingers Restaurant. The newlyweds were forced to say goodbye one last time as Art returned to fulfill his duties in the service. Thankfully, it was only for a few months. Upon her husband’s return, Shirley and Art initially lived in several apartments. Eventually, they moved into a home at 1044 Houseman, and soon after they welcomed their first son, Michael, into their hearts and home in 1952. Michael was later followed by Steven in 1954, and in 1957 Shirley and Art finally became parents to a baby girl with birth of Cheri in 1957. In 1961 Terry came along, and several years later they celebrated the surprise of one last blessing with the birth of Renee in 1968. Shirley fully devoted herself to caring for her family, and when her children got home from school every day she was there, this was very important to her. 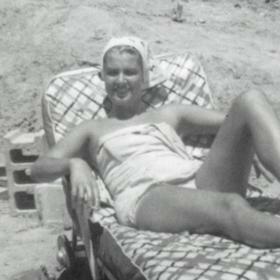 For many years on Wednesdays in the summer, she and her mom Dena would take the kids up to Aunt Margie’s cottage on Whitefish Lake for a day of sunbathing, fishing, and swimming. 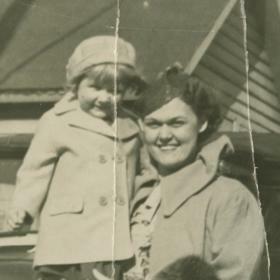 As a family they took trips up to Mackinaw City and Mackinac Island on several different occasions, and as their family grew to include grandchildren the family fun took place on the shores of Lake Huron in Tawas, Michigan. For years their family rented several cabins right on the beach, here both her children and grandchildren would gather. Shirley and Art loved this time together. Shirley never missed a school or sporting event, and she was religious in sending out cards to her family in celebration of their birthdays, and special occasions. Through the years Shirley was busy outside of the home as well. She started her working days as a teenager when she worked at Knapp Avenue Creamery. Later, Shirley worked as a cashier at local grocery stores including Hines' Market, Eberhard, Daane's, Sy's Market and lastly Family Fare. She was well loved by her customers, as many chose to be served by Shirley even if the line was longer. Ironically, Shirley was usually able to move her customers along in a quicker manner than most. She liked golfing and eating out. Russ’ was her favorite restaurant, although she would never admit to it. Shirley enjoyed going out to lunch with friends as well. She loved her neighbors wherever she was living and thoroughly enjoyed good conversation, always being sure to ask about them and their families. In 2015 Shirley decided that is was time to complete her church sacraments. It was during the Easter season this year that she was baptized and made her Communion and confirmation. It was a wonderful time of celebration for her and her family. Shirley had many interests over the years. She kept busy with crossword and word search puzzles, and she liked reading the newspaper, in which she kept her kids up to date of current events, and also who had passed away. Shirley often made time for her “stories,” also known as soap operas, and she liked watching Wheel of Fortune and Jeopardy every night. A sports fan, she liked watching the Tigers and Lions as well as U of M football and basketball. Shirley remained close to her brother and for years she and Art loved spending time in South Haven, with him and his wife Suzanne. She was like a second mother to her brother and was always there to support him. She enjoyed spinach artichoke dip, soups, and onion rings. Shirley had a sweet tooth as well as she never could pass up a donut or salt water taffy. She loved baking banana bread and angel food cake. 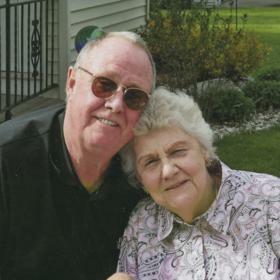 Shirley was deeply saddened with the death of her husband and best friend Art in 2017, and with that her health began to decline, but she continued to do the things she loved, especially spending time with her family. Shirley always enjoyed the companionship of various cats throughout the years, including her most recent cat, Simba. He was her “boy”. She was a kindhearted, giving and compassionate woman who was content with whatever life brought her.  Shirley was a devoted wife, mother, grandmother, friend and a blessing to all who knew her. She made a significant impact in the lives of so many. Deeply loved, she will never be forgotten.